What did King Henry II house look like and what did he eat? King Henry II was not just King of England, but also Duke of Normandy, Count of Anjou and Duke of Aquitaine. So he ruled a vast empire from the borders of Scotland in the north to the Pyrenees in the south. Back then, in the 12th century, the king did not have a single place where he lived. Instead, he and his court were travelling from castle to castle. Some of the castles were his own, but other places he stayed in belonged to his nobles. 1) the King was responsible for law and order in the country. He usually judged complaints and crimes while he travelled. And the more the king was seen doing this, the more he was respected and obeyed. 2) the King travelled with a large household of clerks, ministers, priests and soldiers. All of them needed to be housed and fed, which could turn out very expensive. So by moving from castle to castle, he made sure that there would always be shelter and food available for his court. The most famous castles that King Henry II stayed in are: the Tower of London, Arundel castle in Sussex, Old Sarum castle in Salisbury and Warwick castle in England. When he was on the continent, he might stay at Caen, Rouen, Tours or Poitiers. 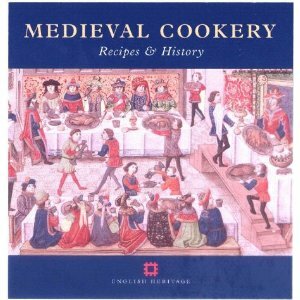 What did King Henry II eat? There were no potatoes, pasta, tomatoes or sugar in 12th century England, but that doesn't mean that the King went hungry. The main food in those days was bread - of which there were lots of different types. Coarse, dark rye bread was often used like we use plates today. These bread plates were called trenchers. Most people ate soup or stew at each meal. This would be made with bits of meat and vegetables such as cabbage. People who could afford it ate a lot of meat. Roasted or grilled mutton, beef or chicken were popular, as were sausages. The King loved hunting, so there would have been other things like deer, boar and hare on his menu. Often they were baked into large pies and brought to the table on a big tray. The king would also eat peacock, swan and even dolphin! And because the church forbade the eating of meat on Fridays and other feast days, there were many recipes for fish. People in the 12th century also loved their sweets. Almonds - imported from Spain - would be made into early forms of marzipan. Fruits were cooked in honey - remember: there was no sugar - or in wine. And cinnamon, cloves, peppercorns, ginger and cumin were all known and used a lot. People usually drank cider or ale (even for breakfast!) and wine if they could afford it. Children or the sick were given milk. Unfortunately, many royal paintings were destroyed in the fire at Whitehall Palace in 1698. So we don't really know what King Henry II looked like. He was said to have been squarely built and had reddish-blond hair. As for Warkworth Castle... it's one of my favourite castles in England, despite being a ruin. Don't miss it on any account! I'll have to look for a painting of King Henry II, I always like to imagine what they looked like when I read about them. I found it interesting that he stayed at Warkworth, it's not far from me, I've driven past but hope to visit this summer.